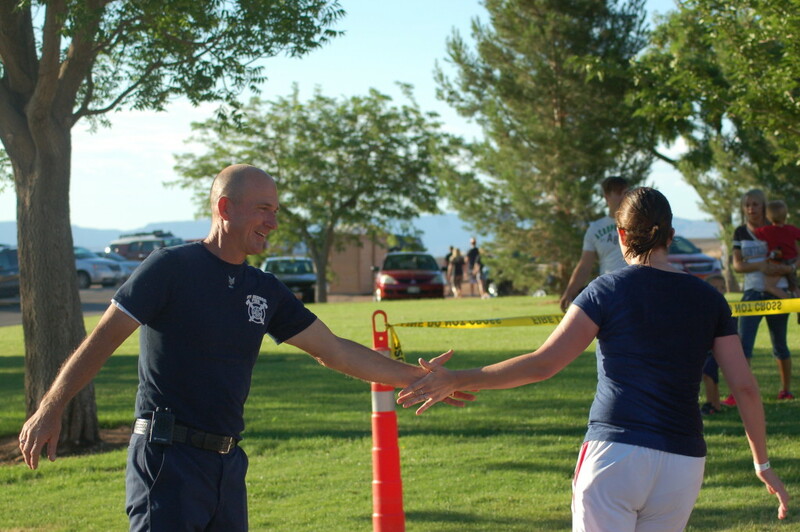 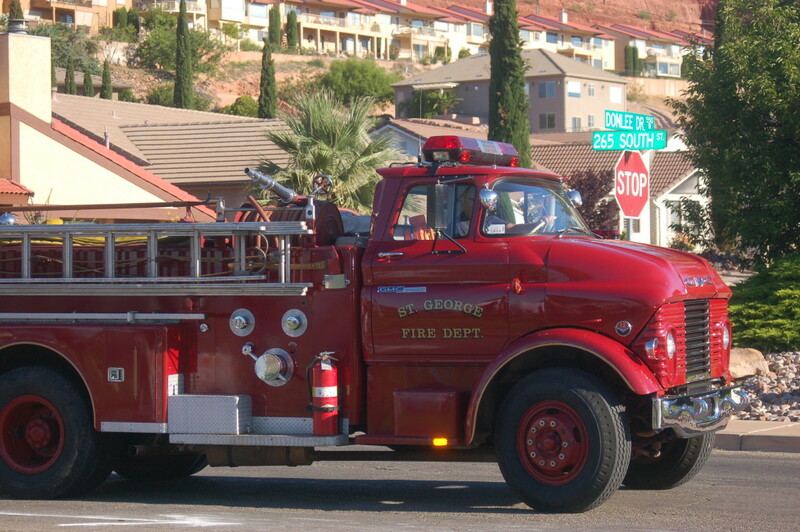 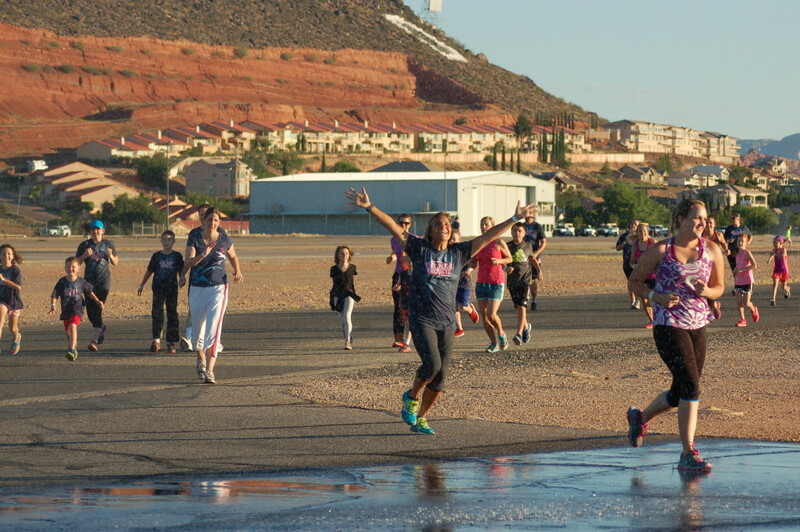 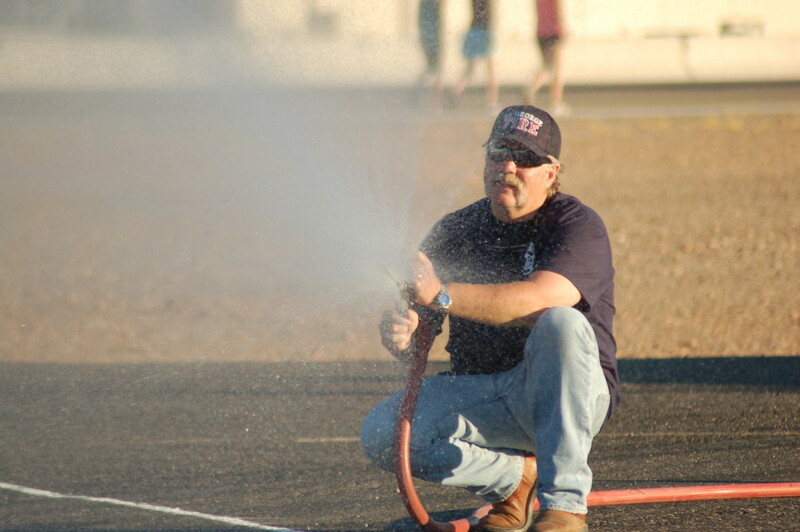 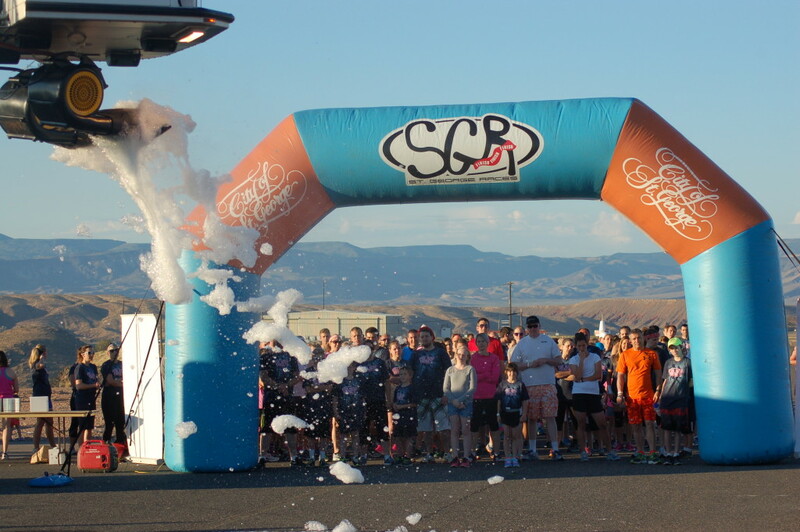 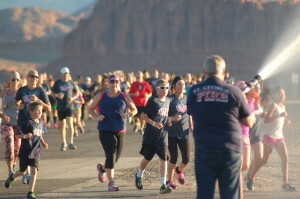 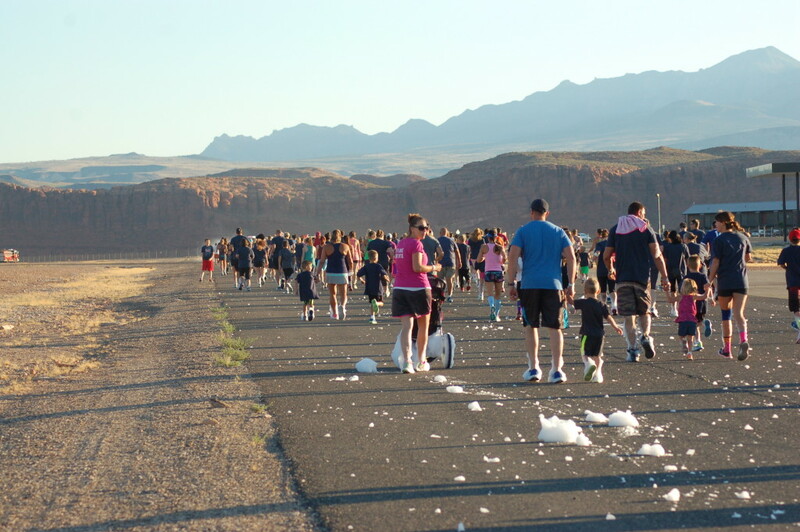 Hosted by the St. George Fire Department, the race was designed to pack as much fun as possible into the short 3.1-mile course, race organizer and firefighter Randy Paul said. 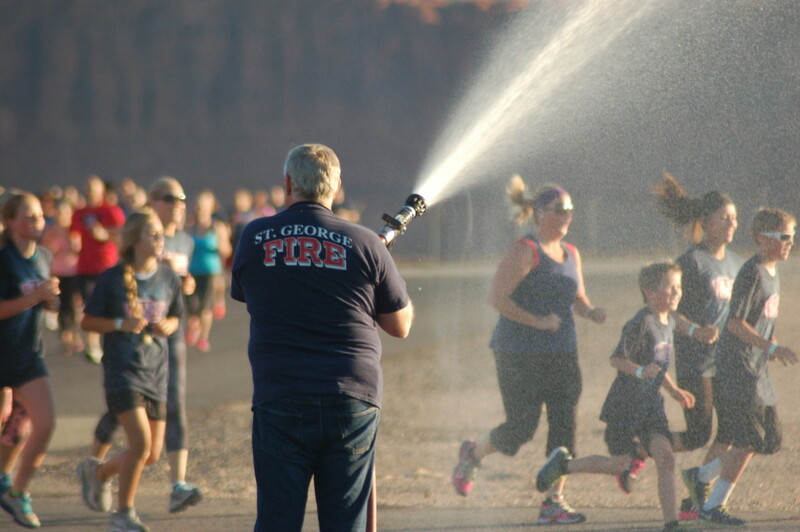 Music blasted from speakers and bubbles showered down from a fire department ladder truck as runners took off across the complex asphalt on their way to a wet and wild race that saw them running through the powerful spray of fire hoses spaced out along the course. 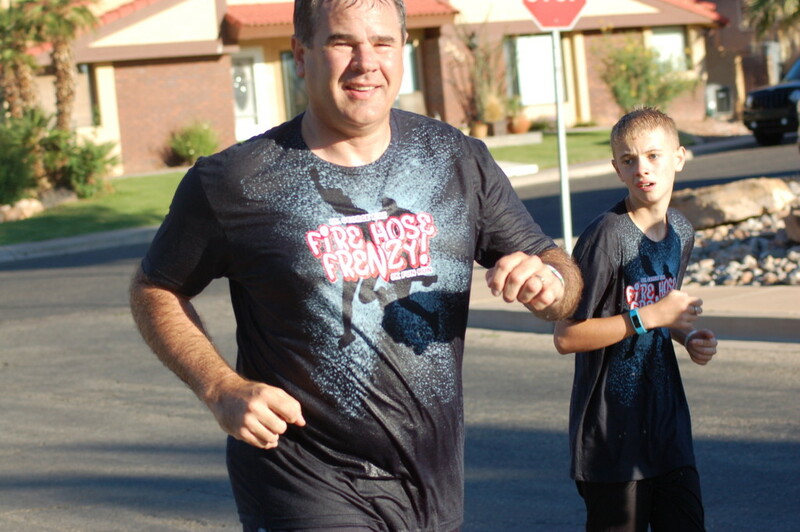 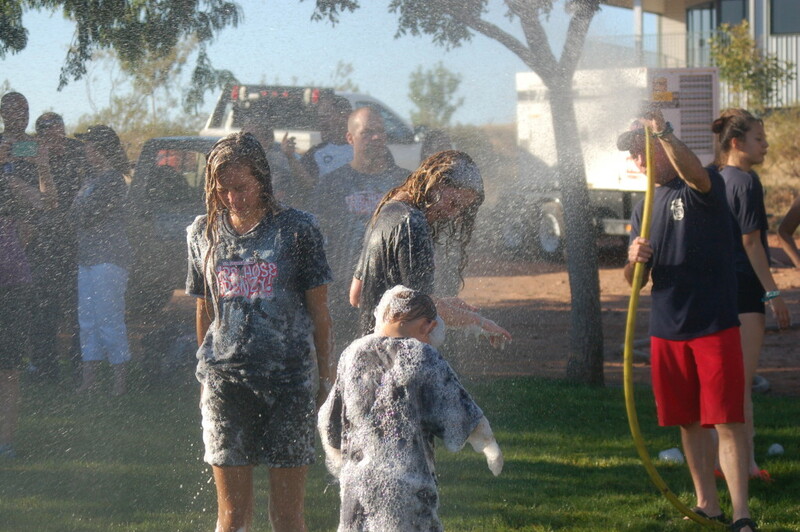 In addition to being fun, the race also sponsored a good cause. 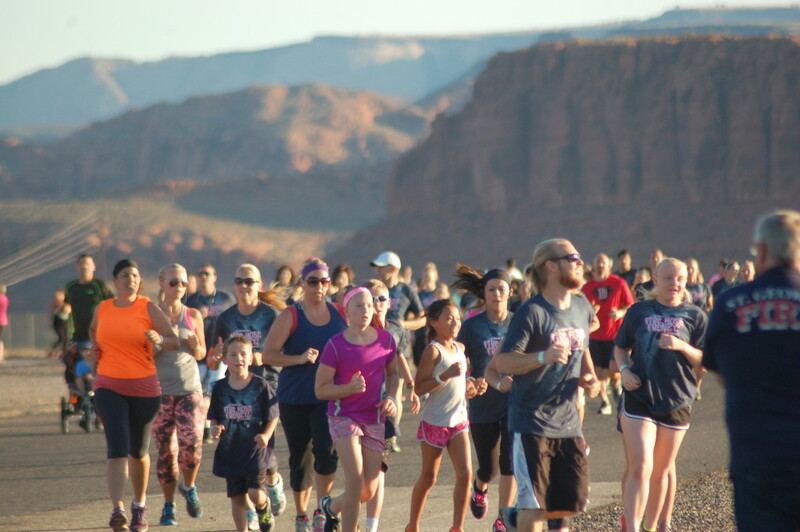 Proceeds from the race fees go directly to the University of Utah Health Care Burn Center to help sponsor burn survivors so they can attend burn camp. 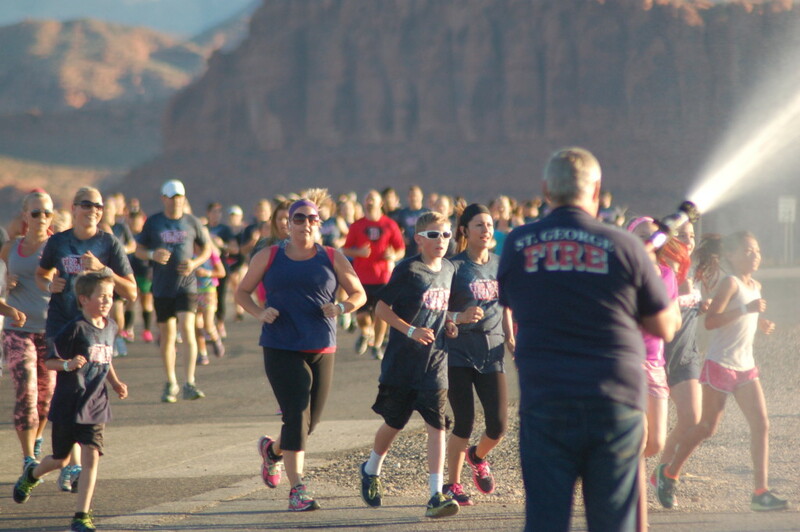 Burn Center Outreach and Disaster Coordinator Annette Matherly addressed the crowd of runners before the start, thanking them for their support of the Burn Center. 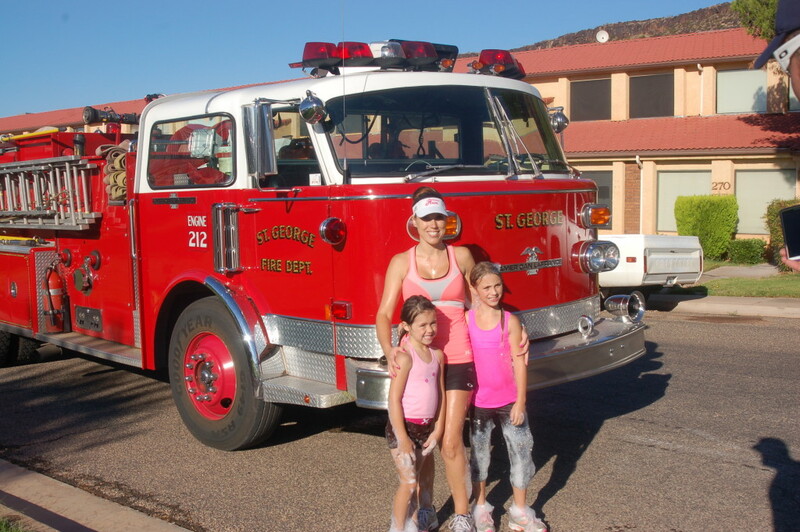 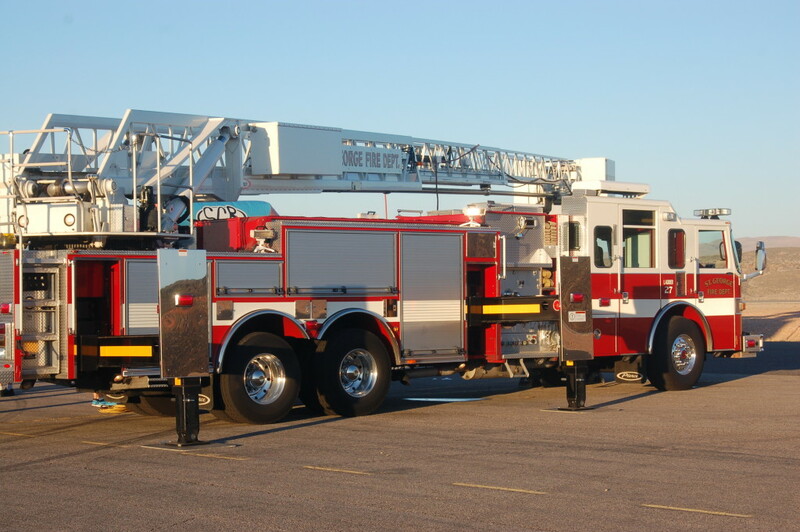 Matherly participated in the race and was quick to praise the St. George Fire Department, particularly Paul, for their hard work in putting on the race and for their fundraising efforts. 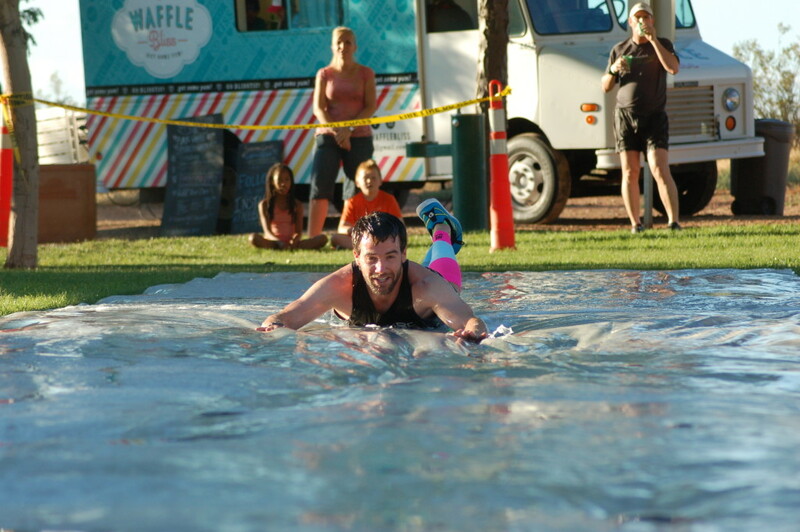 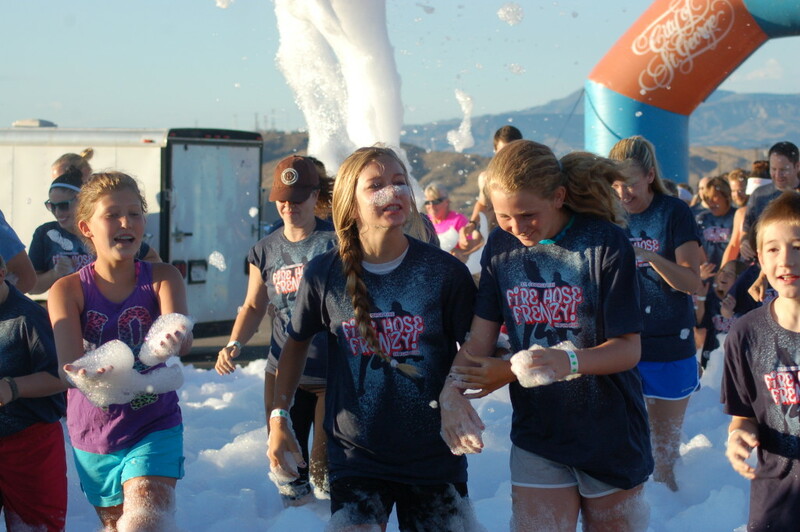 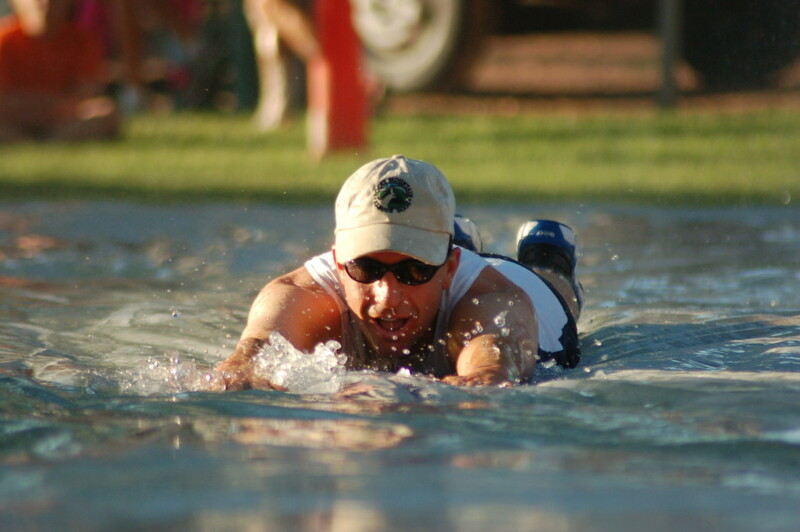 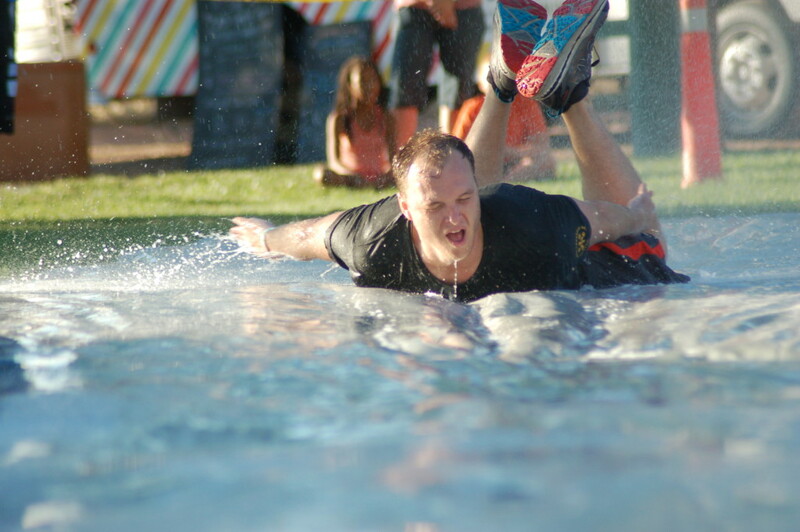 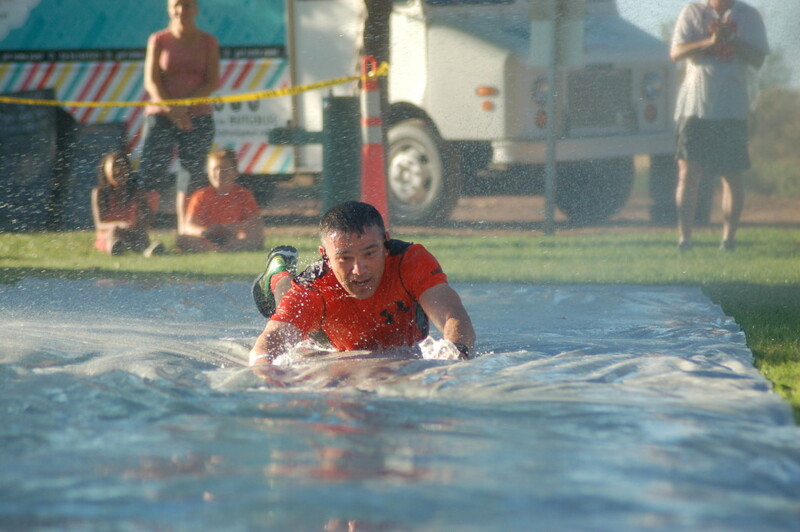 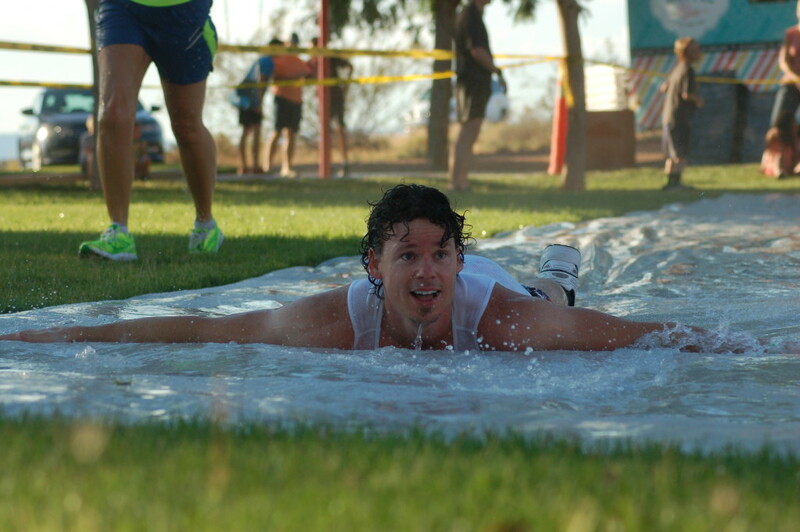 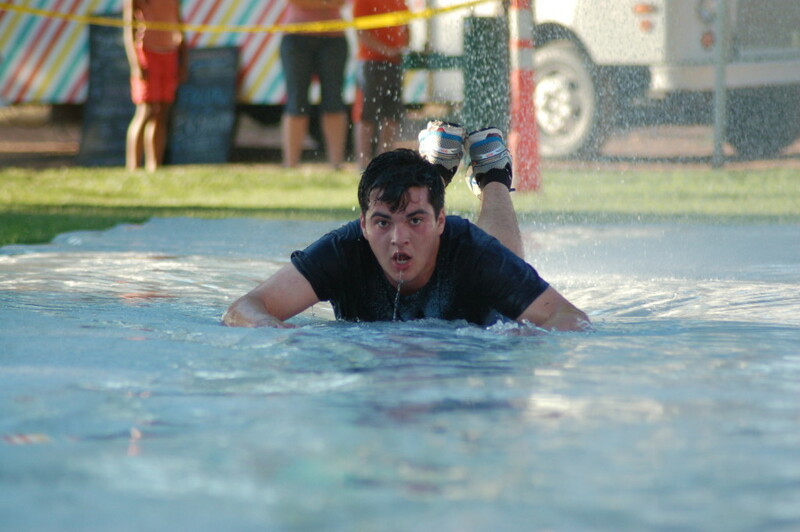 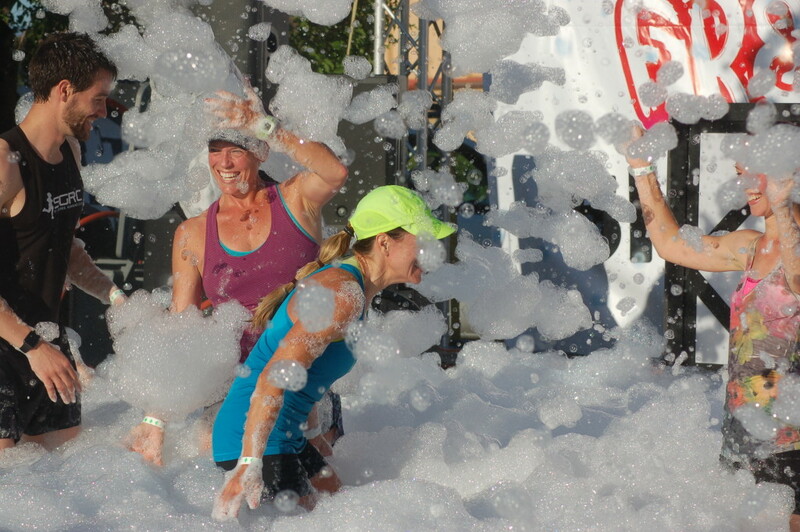 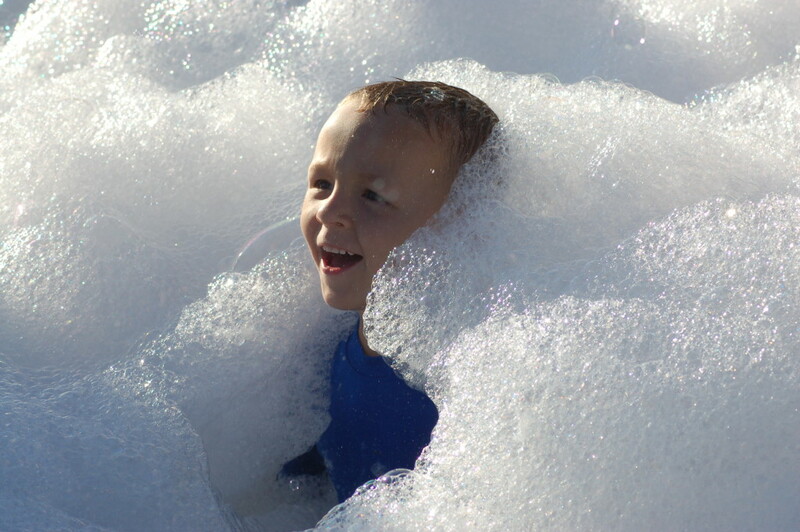 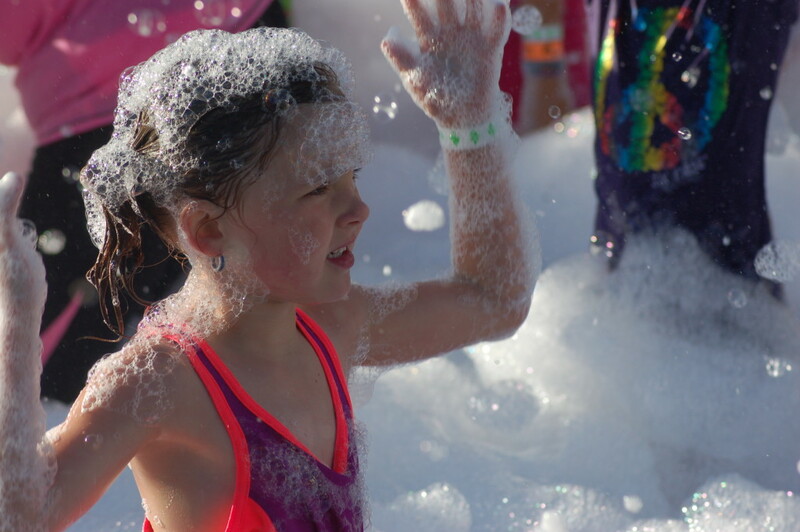 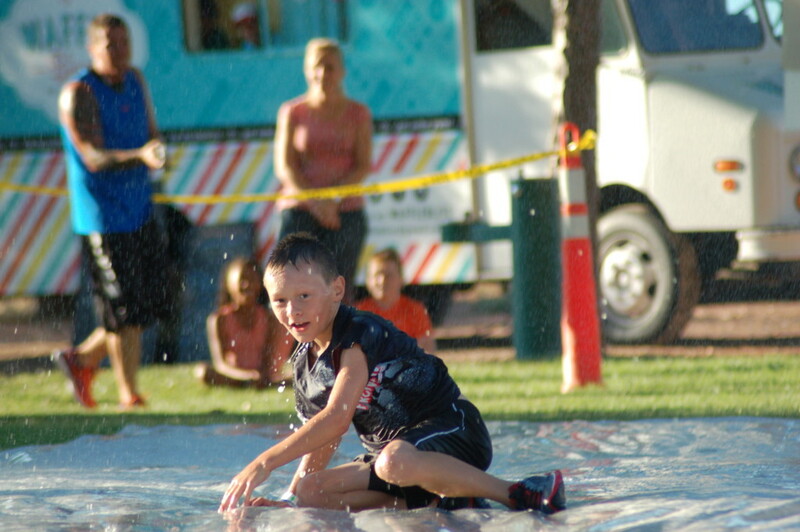 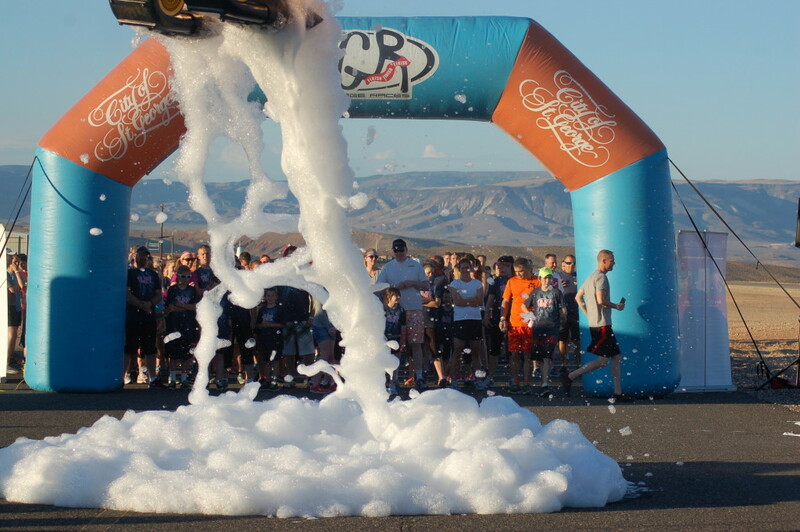 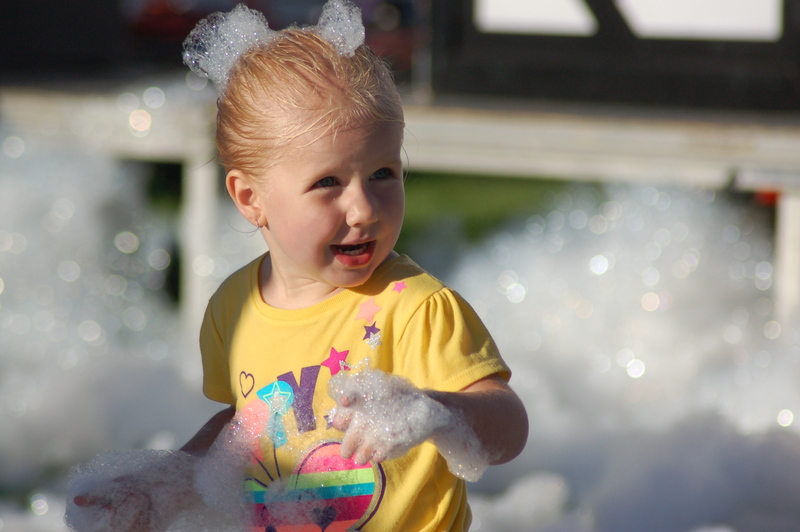 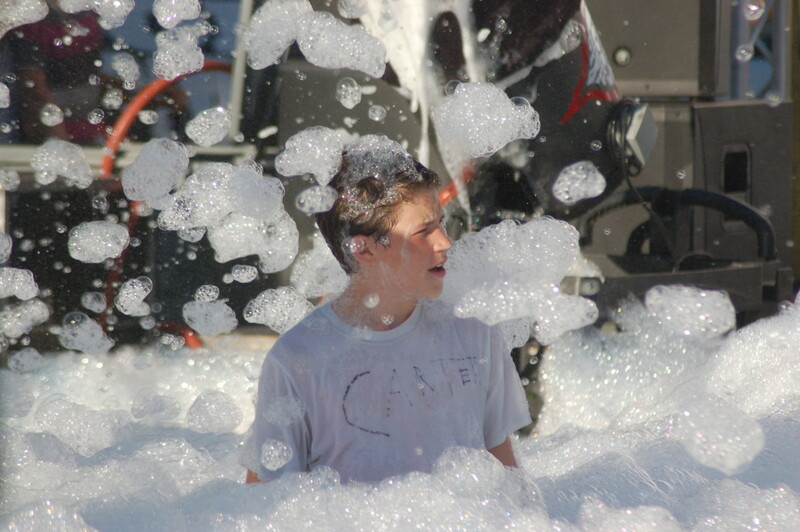 Participants finished the race on a giant slip and slide and were welcomed to an after-party complete with a DJ and bubble pit where people could be seen sliding, dancing, laughing and playing throughout the morning. 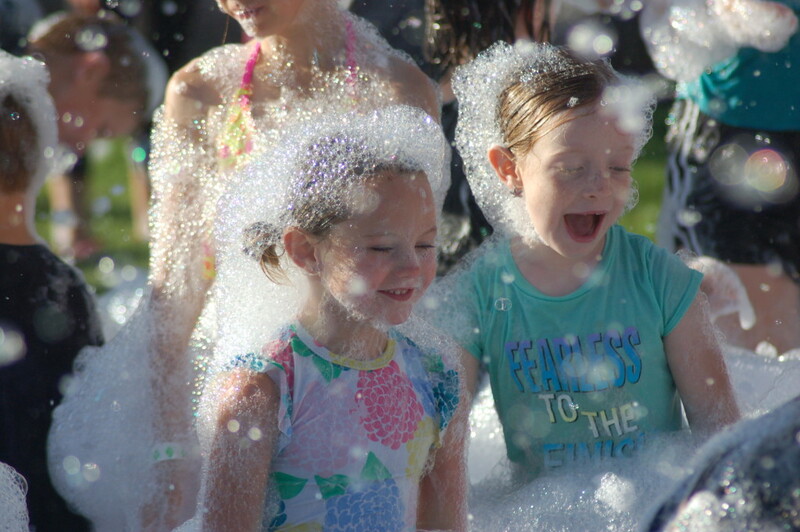 “It’s beautiful to see the smiles on everyone’s faces,” Paul said. 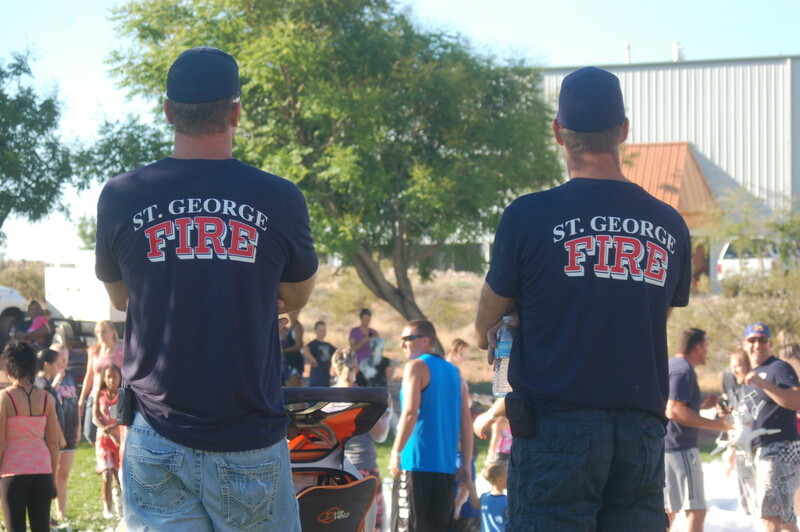 Drone footage for the Videocast courtesy of Andy Blazzard, St. George Fire Department.